Talk about mixing business with pleasure. You go to this magical island, most of which is protected as the USVI National Park, and get married to the love of your life. Then you end up becoming friends with the owners of the very St John Villa you stay in. 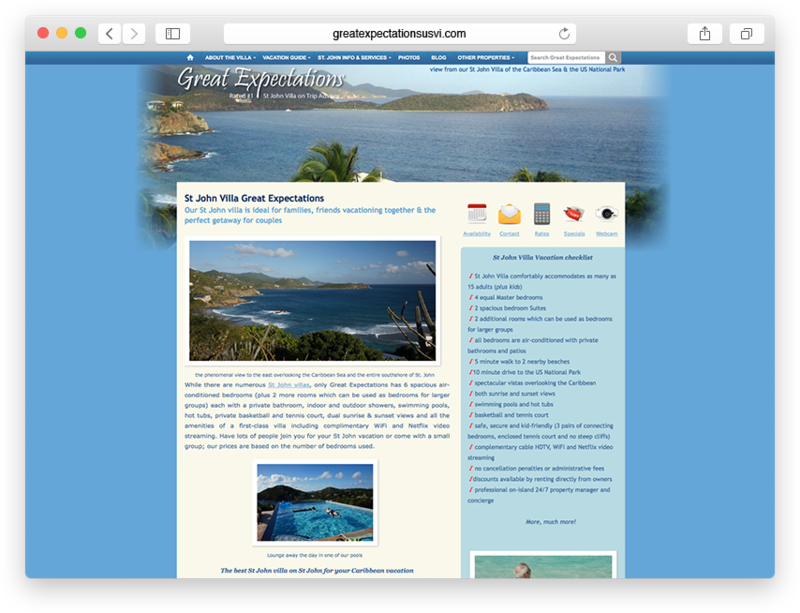 The Great Expectations villa owners needed a serious ‘sprucing-up’ of their website: not only in the design that was a bit bland and dated, but also in the organization of content from both a visitor’s and search engine’s perspective. Research the market – what were people looking for when they wanted to rent a villa? What keywords do they use on Google? When they get to the site, what do they want to see? Build a search-engine-friendly content management system that they could use from any modern browser, 24×7, to keep their content fresh. Setup SEO Reporting with WebPosition that shows where they stand for the keywords they want to rank for – and compares it to their competitions rankings. 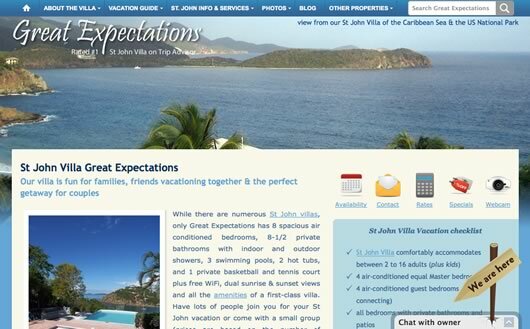 Our relationship is stronger than ever and we hope to go back to St. John for another vacation very soon. 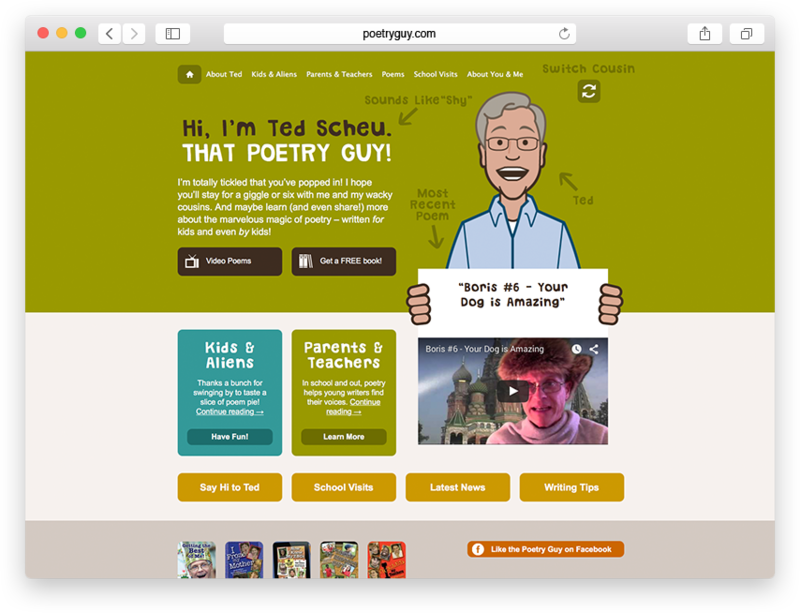 As for the site, we are both learning from each other and the reviews so far are very positive!